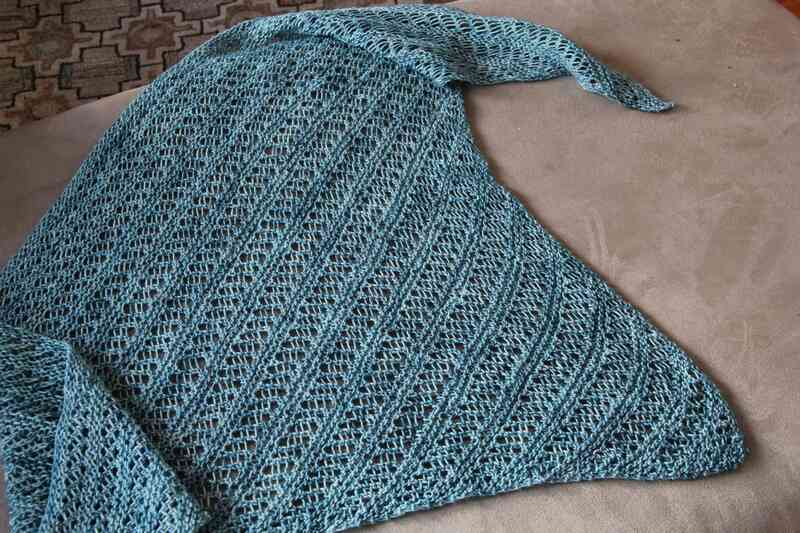 The small shawl that was part of my easy knitting period after I scrapped Ming Blue is complete. The design is not my own. It comes from the book Traditional Shawls. I hope I’ve got the name right, as I am still house and cat sitting I don’t have the book here to verify the name, but I will get it for you. 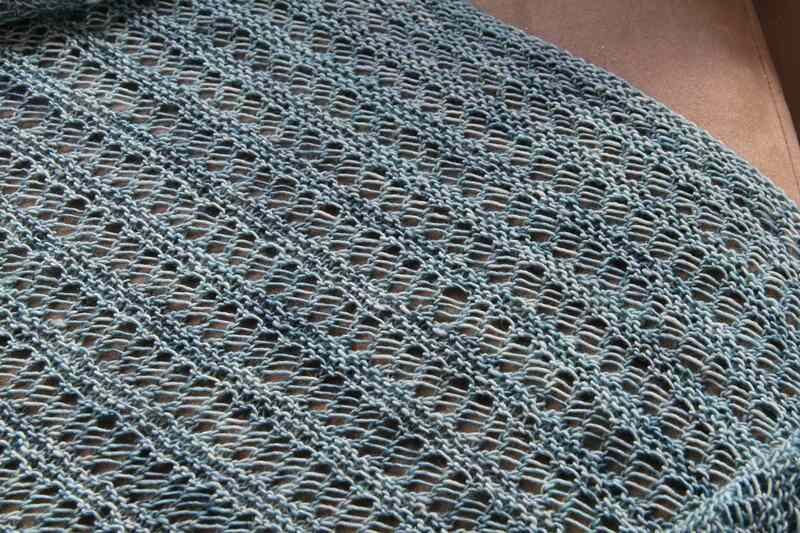 The shawl was made with one skein of MadelineTosh Light in the Happiness colorway. I purchased the yarn from Happy Knits. Love that store and the yarns they carry. Really nice people too. 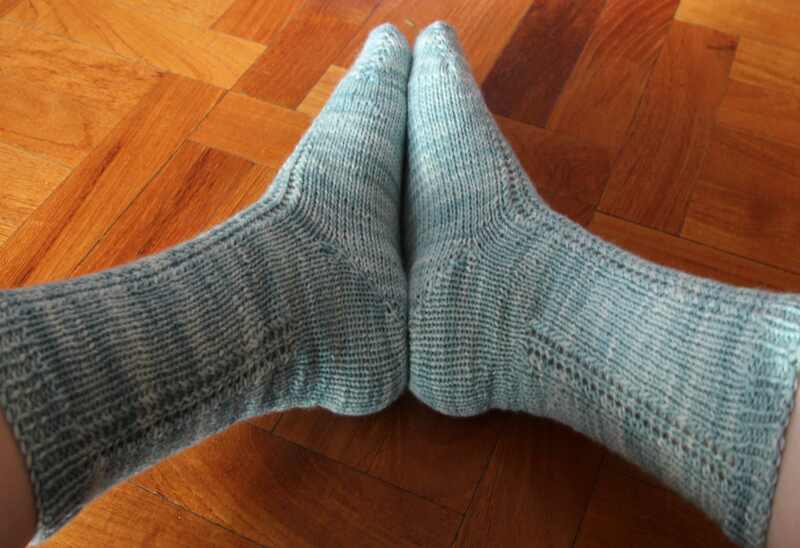 The other finished object are the socks. 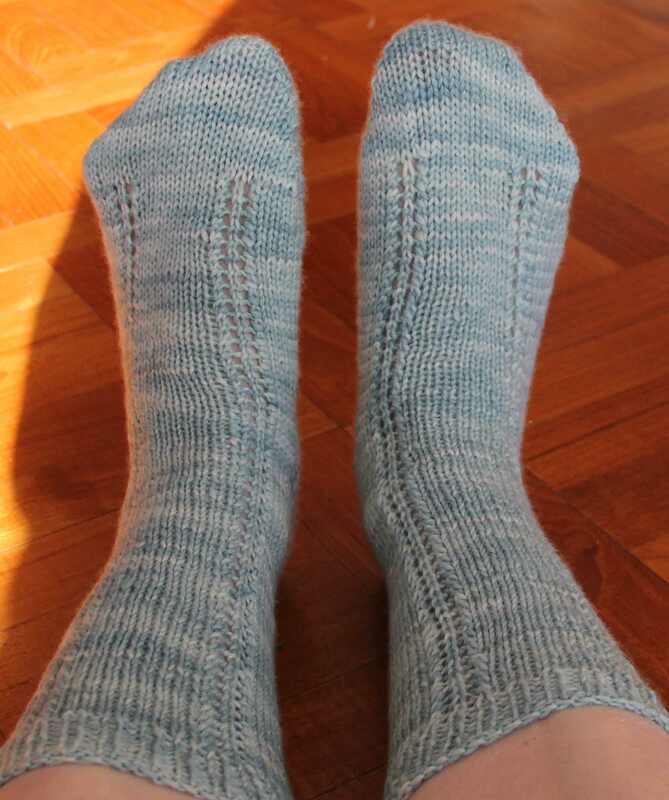 My adapted version of “Dead Simple Lace Socks” by Wendy Johnson from her book Socks From the Toe Up (hope I got that name right). The yarn is Jill Draper Makes Stuff Splendor Sock Yarn in the Glacier colorway. Unfortunately, Splendor is no longer available and this skein came from my stash and the few precious ones I have left. Today appears to be cuddle day for Susie, the cat. Not a bad choice since it is snowing. Did I mention that I am terribly allergic to cats? As soon as this latest cuddle fest end its allergy medication time.